Steve Morse isn't worried about his band's name. The focus is on the music. The times and names are a changin'. The Cleveland Indians will abandon their longtime mascot, Chief Wahoo, after the 2018 season. Confederate statues are becoming a thing of the past. Dolly Parton has ditched the name of "The Dixie Stampede," a Civil War-themed attraction in Tennessee and Missouri. As of January, it's dubbed "Dolly Parton's Stampede." "Dixie," the traditional theme of the Confederate States of America, has come under fire. 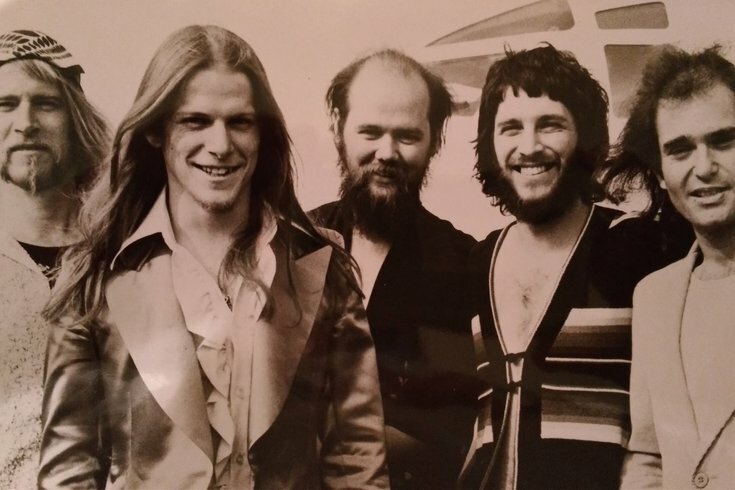 But the Dixie Dregs will not alter its moniker. The primarily instrumental band, which combines Southern rock, prog-metal and jazz, will still perform under the name it chose when the band formed in 1970. Morse, 63, a Michigan native, is the lone Dreg living below the Mason-Dixon line. "I don't know if that makes us a Southern band," Morse said. "All I know is that it's about the music. It's not about anything more than that. People are making a big deal out of a lot of things today. But we could have no name and it wouldn't matter. It's about the music. That's all anyone should be focused on." Morse, a humble guitar virtuoso, has always been the featured attraction of The Dregs, which formed out of the ashes of a high school band called Dixie Grit. Bassist Andy West, drummer Rod Morganstein, keyboardist Steve Davidkowski and violinist Allen Sloan were part of the 1975 lineup. The quintet reunited last month. "It was just like old times," Morse said. "We connected immediately. We wanted to see if we could remember the songs, play in time and in tune. We locked in immediately. It's such a talented group." Its been 40 years since the quintet, which will perform Friday at the Scottish Rite Auditorium in Collingswood, played together. "The trickiest part was reconnecting with Steve Davidkowski," Morse said. "Andy tracked him down and then we were in business. We never had any idea how this was going to go down or if we could even get it off the ground. But it worked out since we it was like old friends getting back together. Everything followed after we hung out. We were these five guys who worked together four decades ago. We had a wonderful time that first session and it's been a lot of fun ever since. I think we beat the odds." Morse, who was also part of Deep Purple and Kansas, isn't certain what's next for the Dixie Dregs. "It's hard to say," Morse said. "We're just living in the moment trying to enjoy what's happening right now. People look too much to the future. Be happy with what you have now. I couldn't be more pleased."